It's the end of the line for Quantico. The Priyanka Chopra-led drama has been axed by ABC after three seasons. The series was a poor ratings performer and recently hit a 0.4 in 18-49. 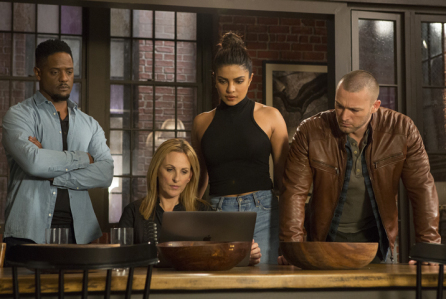 Quantico is expected to air its final episode news Thursday, effectively being pulled from the schedule with nine episodes remaining. Marlee Matlin, Jake McLaughlin and Johanna Braddy also starred.